Based out of London , since the 1980's, Healthcare International has been striving to achieve the best possible service for its customers. With excellent staff who understand the needs of customers in the modern day world and the highly efficient claims process Healthcare International boasts, customers can be assured of excellence in the deliverance of services by Healthcare International through their extensive network coverage. 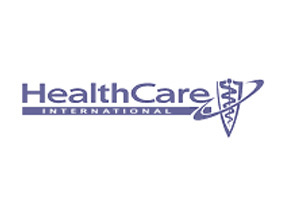 Healthcare International's goals consist of dedicated customer service ensuring the highest levels of coverage for customers. Healthcare International achieves these goals by designing insurance plans to be flexible to coexist with the client's hectic international lifestyle, and able to address any future concerns that may arise. It is these set of goals that have lead Healthcare International to prominence over its lifetime. Recently to optimize its output during such gloomy economic times and with medical inflation on a constant upwards spiral, Healthcare International has set up a risk management department in its headquarters to ensure that all claims and payouts are met effectively. For more information on Healthcare International or for a free comprehensive insurance quote, please feel free to contact us.